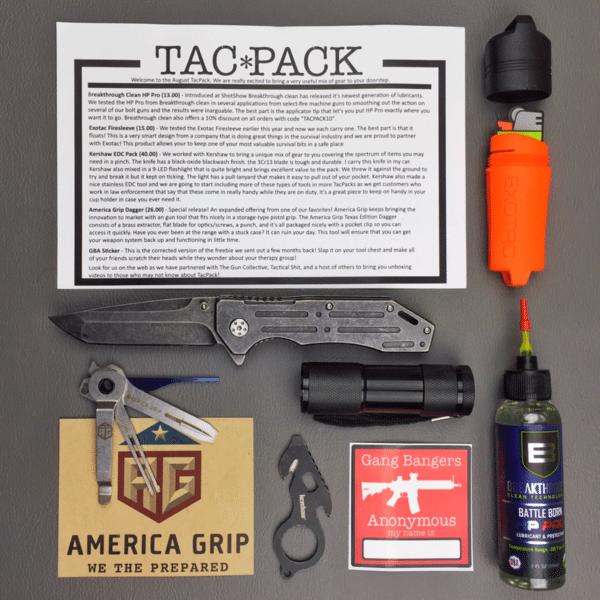 A TacPack is a box of tactical/survival/EDC gear that gets delivered to your door step every month. 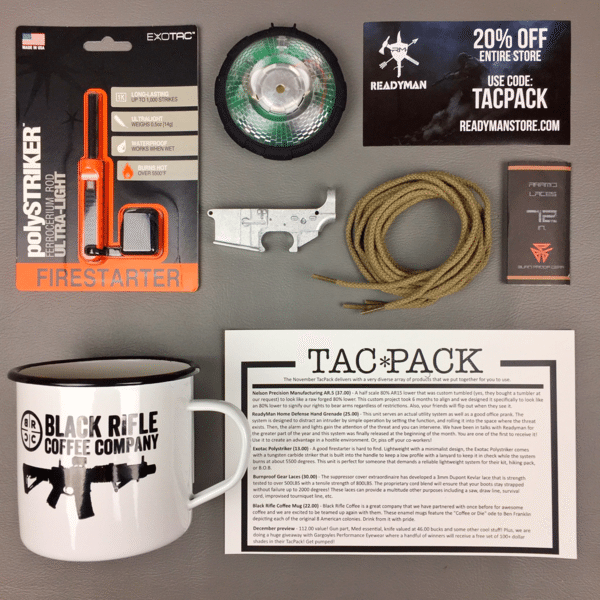 Your TacPack subscription will automatically charge you monthly on the 20th. You can cancel at anytime without any strings attached by simply emailing us! 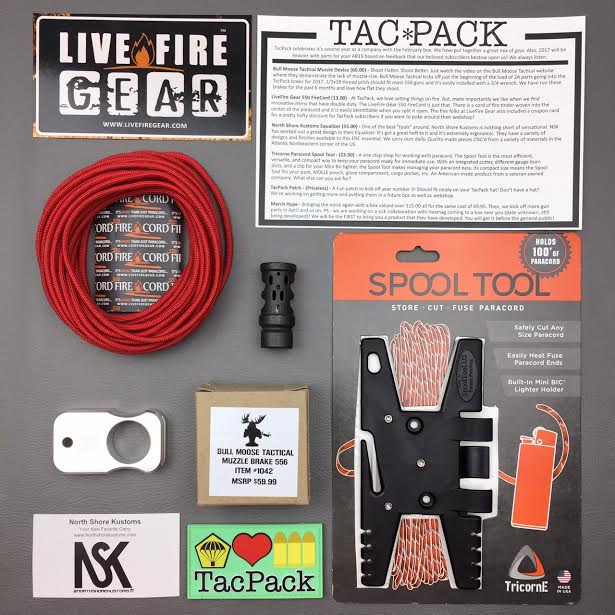 A TacPack contains $80.00-$100.00+ worth of gear each month for your 49.95 payment. This depends largely on who we strike a deal with in terms of wholesale cost. All suppliers differ and our large volume of thousands of subscribers allow us to bring the best possible deal to our loyal community. Why did you create TacPack? We created TacPack because we wanted to provide people with a system of receiving quality/emerging products on a monthly basis so they can “try new stuff”. As a company, we take pride in testing each product before it goes into the box and out the door! We search to find lifestyle brands that positively represent the community. Our boxes contain an assortment of tactical goods, survival goods, and EDC gear. Our goal is to partner with some of the most exciting brands in the industry to give you a chance to try their products!